Pending approval of the final script and shooting budget, Fox and Walden Media, which controls the movie rights to C.S. 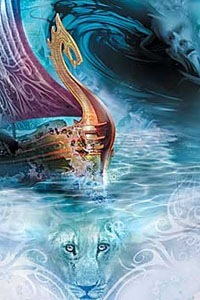 Lewis’ classic children’s books, hope to be begin production on “The Voyage of the Dawn Treader” by late summer so it will be ready for holiday 2010 release. Fox is taking a financial gamble that Disney was unwilling to wage despite helping bankroll the first two films in the “Narnia” family franchise. Walden, owned by entrepreneur Phil Anschutz, was forced to seek a new financial partner on “Dawn Treader” after Disney balked at the cost and opted out. While the targeted budget of “Dawn Treader” is much lower than that of the last Narnia movie, “Prince Caspian,” which cost $225 million to produce, it’s still a big gamble. Released by Disney last year, the sequel was much less popular than the first “Narnia” movie, “The Lion, the Witch and the Wardrobe.” The sequel grossed $419 million worldwide compared with its 2005 predecessor, which generated $745 million in ticket sales. At any rate, I am glad to see the series continue on and believe in the long run, Fox will be happy with the investment. Original story at The L.A. Times.